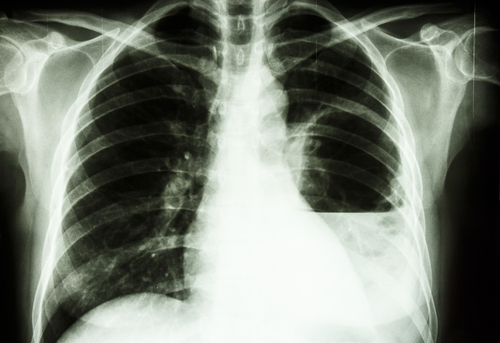 Another cystic fibrosis Phase 3 clinical trial from Gilead Sciences has been completed, with goals of determining the safety and efficacy of aztreonam for inhalation solution (AZLI) in cystic fibrosis patients with chronic Burkolderia species infection. Patients with cystic fibrosis are more susceptible to contracting chronic respiratory tract infections, and Burkholderia cepacia is a complex of a variety of bacteria that cause pneumonia in patients with lung diseases and are immunocompromised. Strains of Burkholderia persist in patients’ lungs beyond initial infection, and specific strains can change throughout infection. AZLI is an inhaled antibiotic; aztreonam was originally designed as an intravenous therapy to treat Pseudomonas aeruginosa in cystic fibrosis patients, but the inhaled form is administered via nebulizer and is more patient-friendly. The mechanism of action of aztreonam involves binding to certain bacterial proteins to disrupt cell wall synthesis, leading to bacterial cell death. Numerous clinical trials have evaluated AZLI in patients with P. aeruginosa, and the majority show significant improvements in forced expiratory volume in one second (FEV1) and lower P. aeruginosa density in sputum. The success of these trials led to FDA approval of AZLI in 2010 for the treatment of cystic fibrosis patients infected by P. aeruginosa. The trial at hand is now evaluating AZLI against the virulent, multi-drug-resistant Burkholderia. AZLI showed in vitro activity against Burkholderia, and the completed Phase 3 trial evaluated AZLI for safety and efficacy in patients. Change in FEV1 was listed as the primary outcome measure, and secondary measures included antibiotic use and Cystic Fibrosis Questionnaire-Revised scores. Thirty-nine patients receiving AZLI completed the 24-week randomized phase, and 34 completed the subsequent 24-week open-label phase. Only a few patients withdrew from the study due to adverse effects. At this time, only baseline measures are available; the entire set of results are expected soon.